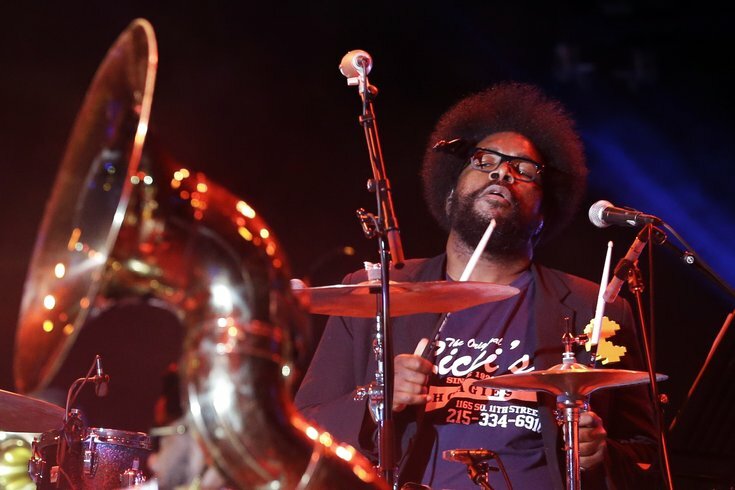 The Roots' Ahmir "Questlove" Thompson performs during an Independence Day celebration Saturday, July 4, 2015, in Philadelphia. Sunday marked the six-year anniversary of the passing of Amy Winehouse, the singer best known for her 2006 album “Back to Black,” as well as her struggle with drug and alcohol addiction. Questlove, who collaborated with Winehouse on the Quincy Jones tribute album "Q Soul Bossa Nostra" and had performed with her live, honored Winehouse on Instagram. During a 2012 interview, Questlove said Winehouse wanted to form a “supergroup” that included Questlove and herself. The two exchanged music and Winehouse introduced him to jazz music over Skype for about a year and a half, he said. In 2015, Questlove hosted a screening of the documentary about Winehouse, "Amy," which brought him to tears, reports said. “It was too much to take. I would have preferred to watch in private,” he said at the time.